Today as we were sifting through Open Culture’s list of over 700 free audio books we came across this great resource from Internet Archive. 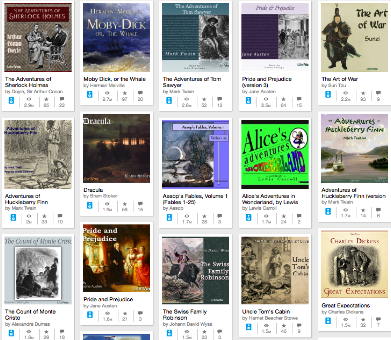 This is a collection embedding hundreds of free audio books covering a wide variety of themes and topics meticulously curated by the folks in LibriVox. the collection is huge and you may want to use the integrated search functionality to search for specific titles. You can narrow down your search using criteria such as views, title, date reviewed/published/ archived, and creator. Once you find your audiobook, click on its cover page and you will be directed to a page where you can listen, download and access more details about it including publication date, usage licenses, and reviews.